Congratulations on finding the love of your life! One of the most life changing events is now behind you. So now that you are married, many changes are ahead of you. Some of those changes are contained in the tax code administered by the IRS. Now that you are officially married, you and your spouse can no longer file as single on your tax return. You can choose to file jointly or married filing separately. By filing jointly, most couples will notice their tax bill decrease. This filing status is usually best if only one spouse works or if both work and one makes considerably more than the other. The benefit is that the larger income is taxed in a lower tax bracket. The income level at which you jump to the next tax rate bracket is higher for married filing jointly versus single filers. There are a few situations that make married filing separately a better choice. For example, if one spouse has large medical expenses, it will be easier to meet the deduction threshold if only his or her income is considered. Another reason to file separately is if one spouse is concerned about a tax position the other wants to take (i.e. not claiming income or taking ineligible deductions). When filing jointly, each spouse is generally held liable for all of the tax due on the return and any penalties and interest arising out of errors on the return. In most cases, a taxpayer must have earned income to contribute to an IRA. One exception to this applies to married couples. If one spouse does not have income, he or she may still contribute to an IRA. Additionally, the income phase out limits for making IRA contributions are higher for married couples than for single filers. Depending on your situation, this may allow you and your spouse to save thousands of dollars for retirement and get considerable tax deductions that you would not have qualified for when filing single. Married couples may qualify for a larger current charitable contribution deduction. Generally, charitable contributions are limited by your income so for married couples with two incomes, filing jointly may increase your ability to deduct a large charitable donation. In most cases, purchasing a home is the single most expensive purchase a person or couple makes. The good news is that when the home is sold, much of the gain on the sale may be excluded from tax and married couples are allowed twice the exclusion that single taxpayers get. Married couples are able to exclude up to $500,000 in gain on the sale of a home which was used as their primary residence for two of the preceding five years. The limit for single filers is $250,000. According to the tax code, if you are married by December 31, you are treated as married for the full year. Depending on when your wedding is scheduled, you may be able to time some income and deduction items to occur in the year that will benefit you and your spouse the most. For more information on these and other tax items affected by marital status, seek the advice of a qualified tax professional. 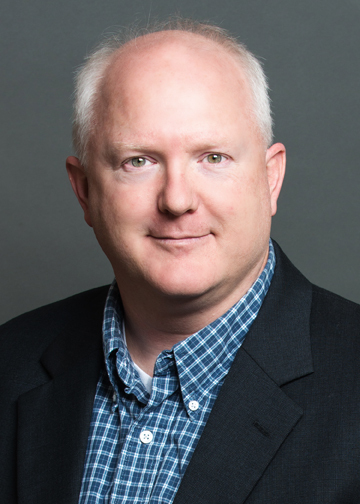 Scott Cornelius is a licensed CPA in North Carolina and began his career in public accounting in 1993 after graduating from UNC Chapel Hill with a Bachelor’s degree in Business Administration and a Master’s degree in Accounting. He is a member of the American Institute of Certified Public Accountants (AICPA) and the North Carolina Association of Certified Public Accountants (NCACPA). Scott has also been chosen by Dave Ramsey as his CPA endorsed local provider for the Triad area.